Stalingrado: Infierno en el Volga recrea una de las batallas más sangrientas y épicas de la Segunda Guerra Mundial, que tuvo lugar entre el 23 de agosto y el 20 de noviembre. 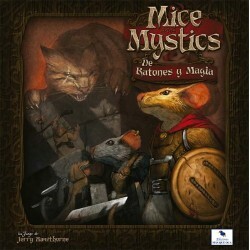 Se han incluido cuatro modos de juego diferentes, entre ellos, un sistema de juego en solitario completo, que desafía al jugador a superar la tenaz defensa soviética (IA). 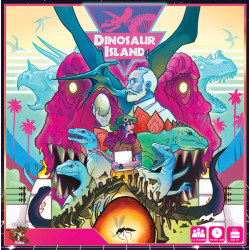 In Dino Island players will compete to create the world's greatest Dinosaur theme park. You'll need to acquire DNA, research the DNA sequences to bring different species of dinosaurs back from extinction, combine your DNA to create these beastly creatures. El mundo está cambiando rápidamente. Las vías del tren unen países y continentes, y viajes que antes requerían semanas ahora pueden completarse en cuestión de días. Los mares ya no son obstáculo: enormes barcos de vapor cruzan los océanos con cientos de pasajeros. Desde Los Ángeles hasta Sídney, desde Múrmansk hasta Dar Es Salaam. 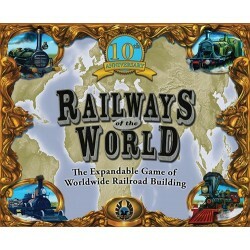 Railways of the World (10th Anniversary Edition) is the new edition of the base game for Eagle Games' popular Railways of the World series, first published as Railroad Tycoon in 2005. 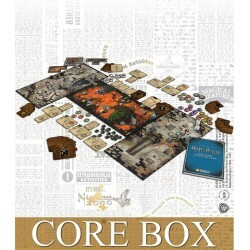 It re-implements the original game with several improvements. Daring sailors risk life and limb to journey across the vast Atlantic ocean, discovering a giant island off the coast of North America: the New Found Land. Now, the mightiest nations of western Europe are competing for the riches of this new region as everyone scrambles to stake their claim. 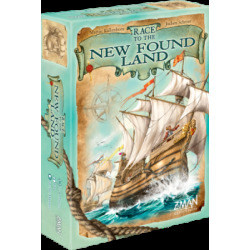 Your efficiency and ingenuity will be your greatest assets as you move settlers, sell valuable cargo, and discover new resources in the race to become the most influential power in this burgeoning new land. 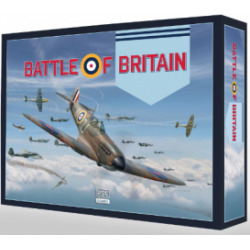 Battle of Britain simulates the epic air battles of 1940 between the planes of Hermann Goering’s Luftwaffe and Great Britain. Hold the Line, The American Revolution is an innovative collaboration between Worthington Publishing and The Plastic Soldier Company/PSC Games to reproduce and remaster some of Worthington Games original titles. 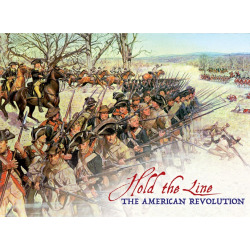 Combining CLASH FOR A CONTINENT, the original HOLD THE LINE, plus 18 new original scenarios into one comprehensive Revolutionary War game, Hold the Line, The American Revolution will take players from the towns of Lexington and Concord to the shores of Yorktown. Have you ever looked up in the sky at all the stars, at the marvel of the Universe and felt a curious nerve inside wanting to travel to these stars, see the planets, and maybe find life? 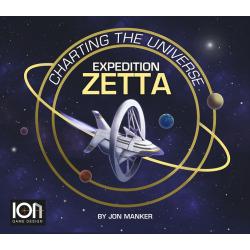 Expedition Zetta includes 3D-models of spaceships, gorgeous art, and a modular game system. In this game for 1-5 players, you and your fellow travelers each represent a country in a maiden voyage of the first starship to ever use a newly developed warp drive. The goal is to brave the unknown and collect discoveries in four different star systems. Though you may have to cooperate, one player will bring special fame and fortune to their home country. Will it be you? 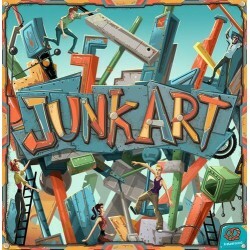 In Junk Art, players are presented with junk from which they must create art. Thus the name. 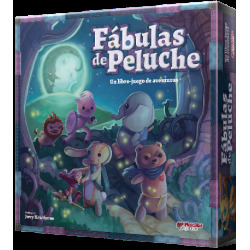 ¡Intrépidas aventuras en un mundo de pesadillas! Juraron proteger a la niña que más los quiere, pero los juguetes de peluche han sido arrastrados hasta La Caída, un reino fantástico y sobrenatural gobernado por el Señor de las Pesadillas. Harry Potter Miniatures Adventure Game es un juego de mesa para dos o más jugadores, en el que puedes controlar a un conjunto de miniaturas que representan con gran detalle a una facción o grupo de magos. 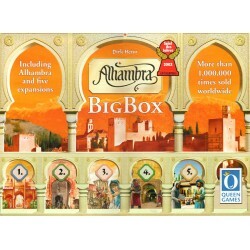 The best master builders in the whole of Europe and Arabia want to demonstrate their skill. Employ the most suitable teams of builders and make sure that you always have enough of the right currency.